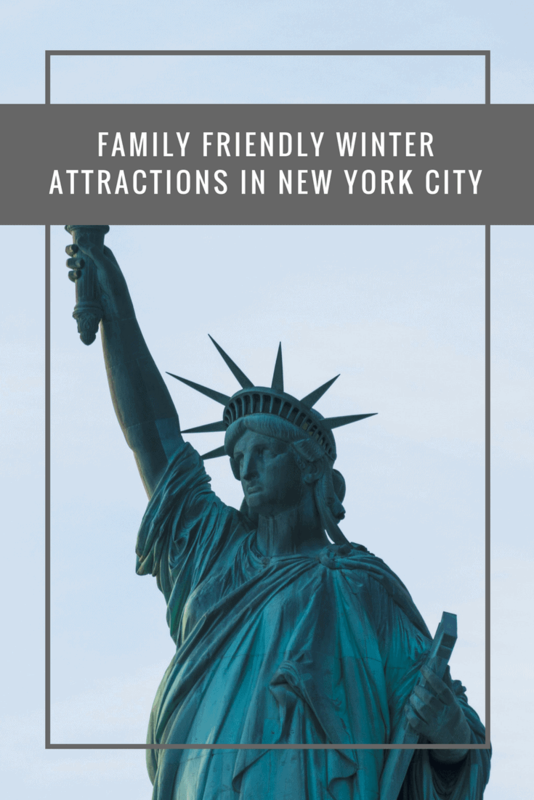 If you are heading to New York City with children, you’ll want to plan some family-friendly activities in advance. Planning is especially crucial if your family trip is taking place during the winter months. While New York City thrives during the winter months, the weather can add some challenges when determining which activities to do, and how to get around the city. Here are some family-friendly attractions to add to your must-see list for New York City. Witness the magic of 150 different New York City locations built in miniature with natural materials set to the backdrop of a beautiful garden. Now add the whimsy of miniature trains exploring this magical version of the Big Apple. The New York Botanical Garden Holiday Train Show includes iconic locations, like the Empire State Building, Statue of Liberty, and the Brooklyn Bridge. The miniature train track is over half a mile long, and winds through the miniatures amidst plants and twinkling lights. The show runs from late November to mid-January, and reservations are recommended as it tends to sell out quickly. Skating in New York City as fluffy snowflakes fall is a magical scene seen time and time again on television shows and movies. 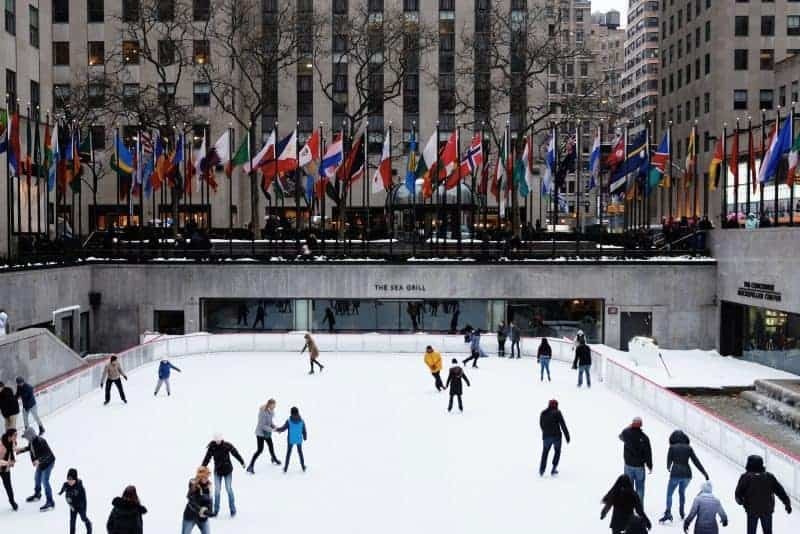 There are numerous locations ideal for outdoor skating throughout the city, including the Winter Village at Bryant Park, the Rockefeller Center Rink, and Wollman Rink in Central Park. As most of the rinks are in tourist-centric locations of Manhattan, they are easily accessible via the subway system and tour buses. Be sure to look at double decker bus tour options to take in the sights and city lights as you make your way to the rink. Broadway isn’t just for adults. There are often kid-friendly shows on stage, like The Lion King, Frozen, and Spongebob Squarepants. Despite being targeted toward a younger audience, these spectacles are top of the line and enjoyable for parents as well. While away a snowy afternoon at a Broadway show and entertain the young ones for a few hours while immersing yourself in the New York experience. If you’ll be in the Big Apple later in the winter, be sure to check out the New York International Children’s Film Festival, which typically runs from late February to mid-March. Like most film festivals, this one focuses on independent films showcasing thought-provoking subject matter and creative minds. Unlike other film festivals, the pictures are for a younger age group. If you’re a film lover, this can be a great way to share your passion with your kids. Be sure to book your tickets in January when the lineup is announced, as they tend to sell out quickly. From mid-November to early January, the One World Trade Center transforms into a Winter ONEderland. This interactive display will lead your children through a virtual tour of the world, complete with visits from Santa Claus. The tour will ultimately lead you to the observatory elevator, where you’ll be able to see a 360-degree view of New York City from the 102nd floor of the building. Regardless of the time of year you visit, this stunning view from the tallest building in the western hemisphere is a sight to behold. If you’ve had enough of the winter weather and want a taste of summer, you can visit the Butterfly Conservatory at the American Museum of Natural History any time from December to May. Home to hundreds of live butterflies and held at a temperature of 80-degrees Fahrenheit, this magical, tropical experience is guaranteed to warm your winter bones. This museum is located right beside Central Park, making it the perfect place to warm up after a morning of sledding or skating. No matter where you go in New York, there’s something for all ages. Be sure to keep those children busy during the day so that you can enjoy the twinkling lights of the city’s nightlife after bedtime.